Four Australian women, including Emily Nicholson, who may have compromised attaining the full potential of their research careers in order to raise young families have been given the financial support they need, and most importantly backing from their institutions, to continue their work as the inaugural inspiring women fellows, presented by the first female Governor of Victoria this week. 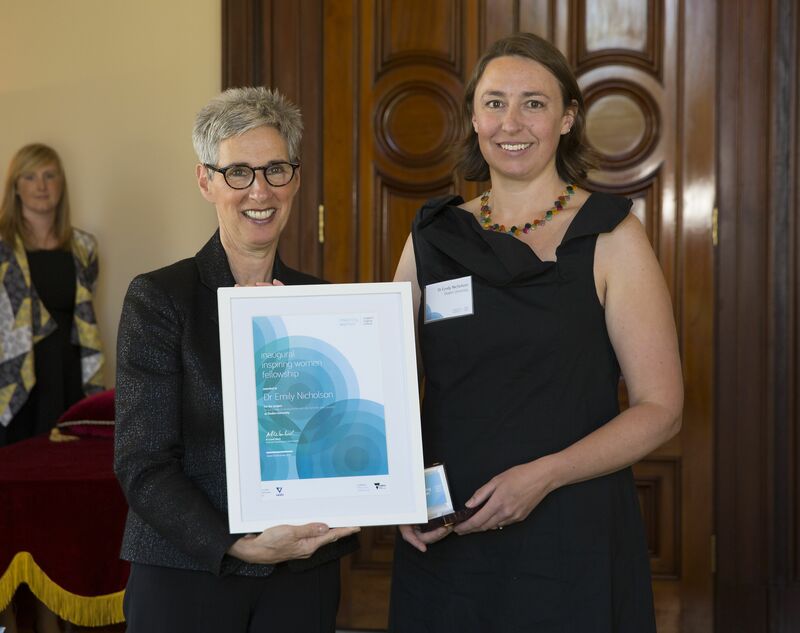 The inaugural inspiring women fellowships, funded by the Victorian Government through the Office of the Lead Scientist and delivered by veski, ensure outstanding female researchers get the support they need to juggle career and carer commitments and remain competitive in their fields of endeavour. Congratulations Emily! It is fantastic that your work for women in science is rewarded in such great fashion. More on Emily’s work can be found HERE (PDF) or via Deakin Research Stories. Read more on the state’s first inspiring women fellowship @ VESKI website.